by Dorian Rogozenko. 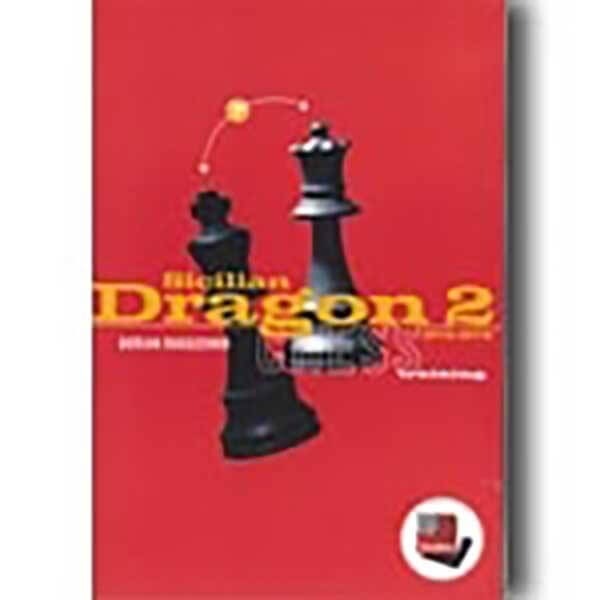 The Dragon system of the Sicilian Defence belongs to those openings, which you do not simply play casually, but about which you become passionate. Many make use of it all their lives, and an antidote is soon found for each and every ?refutation?. What have become the trademark variations of the Dragon are above all the sharp ones in which White castles long and Black castles short. GM Rogozenko has provided us with a very complete treatment of his theme ? namely those variations in which White castles long. We bene t from his breadth of specialised knowledge as he presents all the latest theory in 95 introductory texts about the individual lines. Over 500 of the approximately 1000 annotated games in the main database have been annotated by the author personally. The nal touch in the CD is the provision of two training databases ? one from the point of view of White and the other from the point of view of Black. ? This is what makes chess training fun: Suitable for advanced players; 95 texts and 500 annotated model games; Database with over 26,000 games; Two training databases; An opening tree including all the games. No other software required, as it also includes ChessBase-Reader.